The scene shows the Adoration of Christ, but seen from a particular point of view. 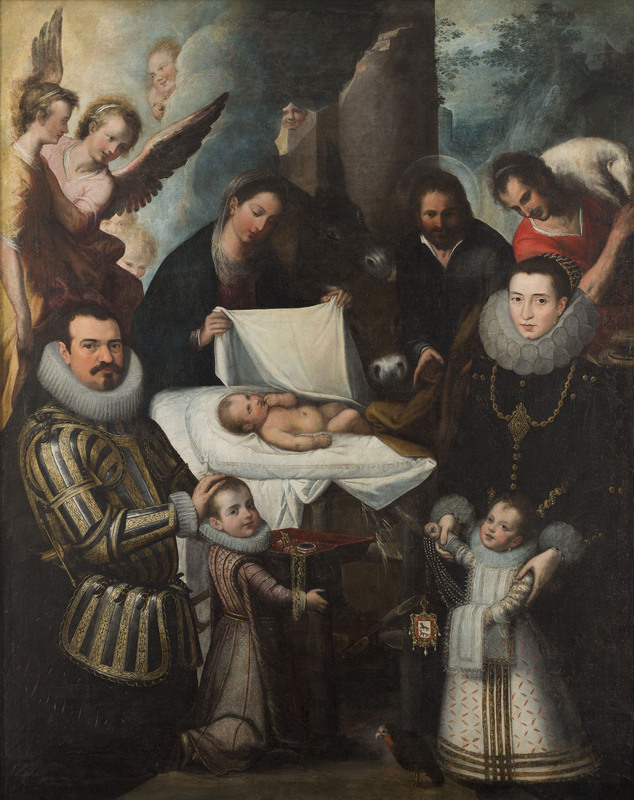 The Child Jesus is usually shown being adored after his birth by either the Three Kings or the Shepherds (a shepherd appears here with a lamb over his shoulder in the top right hand corner). Aside from the usual figures, in this case we also find four members of a family that, in the foreground, eclipse the religious theme. Dressed luxuriously, they are making a spectacular offering. Two wolves on a coat of arms that hangs from the jewellery enable us to identify the Ayala family. 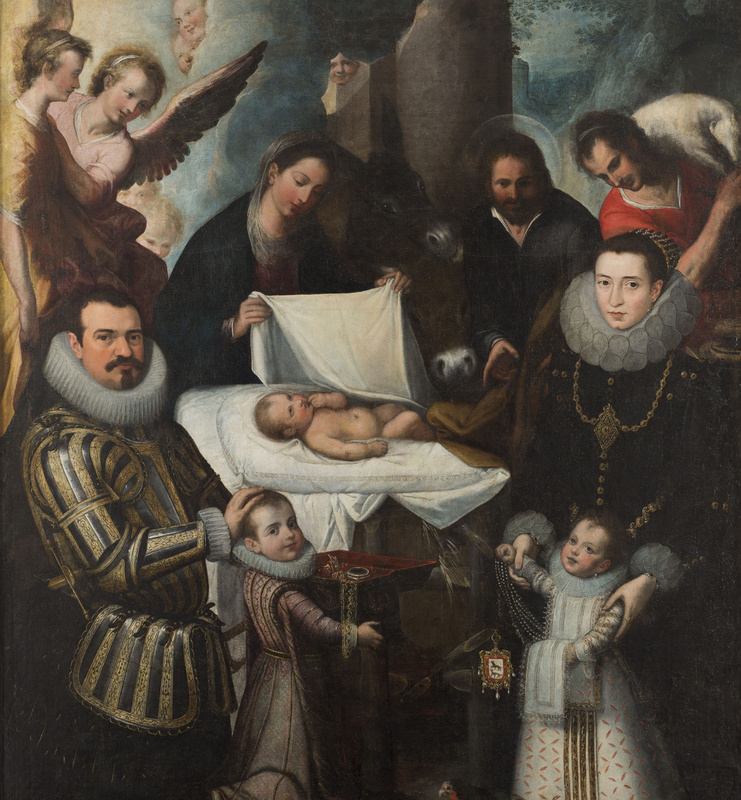 In fact, it could be Antonio Francisco de Fonseca y Ayala, 1st Count of Ayala.